Fall is here and it’s a great time of year to get your students outside! Personally, I love fall and craftivities…so why not use them together for the ultimate therapy session! Here is a creativity with suggestions on how to address your students’ goals. Give each student a Ziploc bag. Take your students outside to explore and pick up leaves. While outside, you can address these goals. Describing: Have your students describe the trees, leaves, flowers, temperature, smells, etc. Use descriptive words such as colors, feelings, textures, shapes and sizes. Following Directions: Give students directions, such as ‘Pick up the red leaf before you pick up the green leaf’ or ‘Run around the tree and then pick up two leaves’. Prepositions: Talk about where the leaves are located. Are they over, under, around, on, off, behind or in front of the tree? 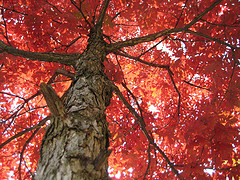 WH Questions: Ask your students about the trees and leaves. For example, ‘What is falling off the tree?’, ‘Where are the leaves?’, ‘Why do the leaves change colors?’, ‘When do the leaves fall off the tree?’, etc. Articulation: For each leaf the students place in their bags, have them say their sound 5-10X. Everything: Think about how to address your students’ goals. Every goal can be addressed while searching for leaves and exploring outside. After your students collect their leaves, go inside and sit at a table to make your craft! Have each student pick up one of the print outs that they would like to decorate and have them color their animal. Once the animals are colored, the students can glue the leaves on the animals. I recommend gluing the leaves on the fox’s tail, the lion’s mane or the bear’s stomach. I hope your students love this craftivity and have a blast while practicing their speech and language!